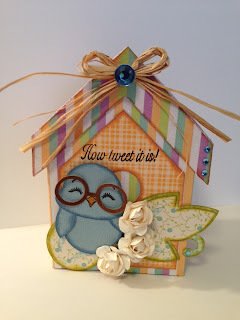 Now it's time for our Craft It Up & Link It Up Linky Party! 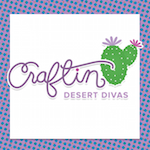 Every other Monday will mark the beginning of a new semi-weekly linky party at Craftin Desert Divas. 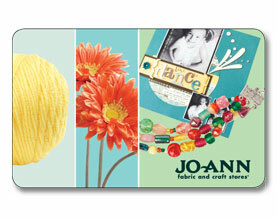 Every other week I will designate a theme and invite you to share projects you've made! And don't forget about the prizes! Every linky party will have a sponsor and winner! Winners will be announced on a semi-weekly basis. The more times you link up, the more chances you have to win! Sponsors will be announced at the beginning of every linky party. If you like what you see be sure to follow me so you can stay up to date when the new Craft It Up & Link It Up Linky Party starts and what theme it will be. Linky Parties are open from Monday at 12:00 AM Arizona MST - Sunday at 12:00 PM Arizona MST. Any project you submit must be linked to your blog or online gallery. Projects must be NEW, no backlinking, please. Number of entries per linky party is unlimited. You may link up ANY type of crafty project (card, layout, altered item, tag etc) as long as it goes with the theme of the party. Post a link back to our site inviting others to play along. For this 1st Craft It Up & Link It Up Linky Party if you make the Top 3 I will not only give you a Top 3 badge to proudly display on your blog, I will also mail you a surprise goody bag with some crafty items for you!! 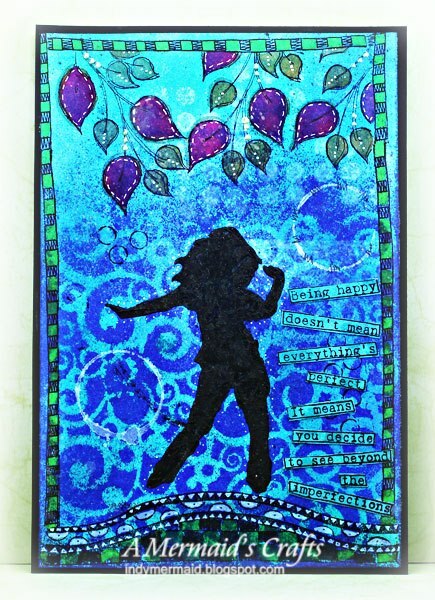 Here's some wonderful inspiration from Guest Designers. Please take a moment and visit their blogs. Remember I'm having a $100. Gift card giveaway HERE as soon as I reach 500 followers!! I hope you enjoy this linky party and I can't wait to see your crafty projects. Beautiful creations GD and Tara. Great way to kick this party off. Will be back later today to link up. Thank you for the Linky Party! I saw this at Jani's site! Thanks for the heads up on your blog & linky party. Wonderful variety in the DT creations. Awesome projects! Thank You Tara for sending me your way! Wow! Love all the inspiration. 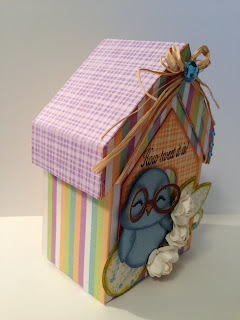 The Guest Designer projects are awesome and your birdhouse is so stinkin cute!! I am going to have to get my craft on and make something hehe. The DT did an amazing job! 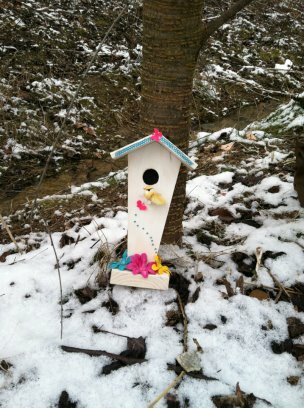 Tara...HOW TWEET IT IS...that bird house is AMAZING!!! The glasses on the bird is absolutely adorable! Thanks so much for the invitation to come play along! Have a great day! This is awesome! I host a weekly spotlight and link up on Fridays. Come check us out. 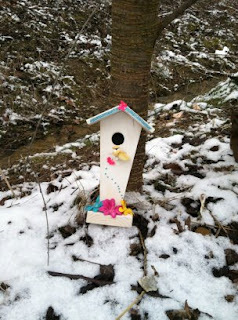 Tara, your birdhouses are FABULOUS! Wow, I love how you decorated the house up and the cute birdie is adorable! I will be playing the fun linky party..thanks for the invite! WoohOoo Tara I'm so excited about this new linky party!! All the projects today are awesome! I love your birdie house!!! So much inspiration here... I'm going to get crafty and see what I can do! AMAZING inspiration!! The projects ares fabulous!! 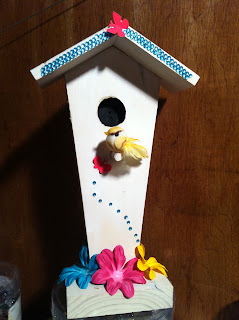 I LOVE the birdhouse Tara:) Makes me want spring to get here! Awesome Linky Party! 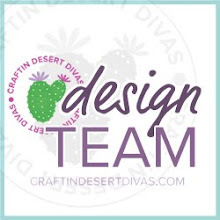 !Fun & Fabulous Projects! !Your birdhouse is precious! !Love it! Oh!and I love the Easter background on your header.very CUTE! WOW1 lovely DT projects!! BTW, super cute Easter blog design:) have a great day!!! Awesome projects DT! Such a WONDERFUL group! Thanks for the fun linky party Tara--I love linky parties I hope yu wwould come to mine it begins on Thursday. Great dt projects Nice new blog design also. Tara, thanks for the invite to join your Linky Party!! I just linked up and can't wait to check out some of the other entries :) Your DT did a WONDERFUL job!! Great projects! Thanks for sharing...Cannot wait for more! Tara - Thank you so much for introducing me to your blog! How I miss such great blogs like yours is beyond me. I'm a new follower and linked up my project per your suggestion. Tara, When you say party, you aren't kidding! I'm amazed at all the entries!!! So glad I could play along. I can't wait to visit everyone's blogs and check out their creations. Have a great day and thanks for this fun challenge! OMG...such adorable projects from the DT! Hi Tara! Thanks for stopping by on my blog and picking up the balloon file and for following! So happy you did or else I would have never discovered your blog! LOVE it! Will also be following and joining your party! YAY! 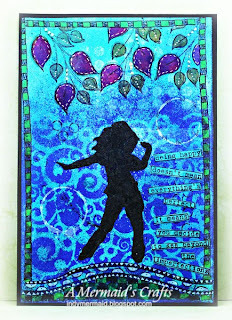 Love the new LINKY BLINKY on your blog!!! Thanks for the challenge and the invite! What great projects. Tara, your birdhouse card is so super tweet! Great linky party! WOW! So many AWESOME entries to chose from! There all wonderful! What a great blog I just found...yours! It is going to be fun following you.